The company says that it is not commenting on specifics just yet. 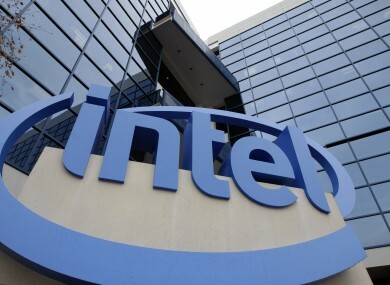 COMPUTING GIANT INTEL has announced plans to lay off 12,000 staff worldwide. In an email to staff, CEO Brian Krzanich said that the company was laying off 11% of its workforce to save €660 million this year. The restructuring will eliminate the staff by mid-2017 and aims to “accelerate evolution from a PC company to one that powers the cloud and billions of smart, connected computing devices,” the California company said in a statement. Krzanich said the decision was not made lightly. “These are not changes I take lightly. We are saying goodbye to colleagues who have played an important role in Intel’s success. He added that more details will be available in coming days. There is no indication as yet what the restructuring means for Irish workers. The company says that it is not commenting on specifics for now. “We are not providing site-specific information at this time, and we are still evaluating our plans for Europe. Overall, however, we expect that these actions will result in a reduction of up to 12,000 positions globally by mid-2017 through site consolidations, a combination of voluntary and involuntary departures, reevaluation of projects, and an increased focus on efficiency in a variety of programs. Since Intel came to Ireland in 1989, it has hired over 5,200 people in its companies across Kildare, Shannon, Belfast and Cork. In 2014, they announced they would invest over €3.5 billion in its Kildare site with 5,000 construction workers hired for the project. Email “Intel is laying off 12,000 staff - but no word on Irish jobs yet”. Feedback on “Intel is laying off 12,000 staff - but no word on Irish jobs yet”.